Is lumbar spondylosis a cause of urinary retention in elderly women? Lumbar spondylosis (LS) is a common spinal degenerative disorder which causes various types of lower urinary tract dysfunction (LUTD). However, it is not certain whether LS may cause urinary retention in elderly women. In a period covering the past 3 years, we retrospectively reviewed: a) urodynamic case records of women with urinary retention (post–void residuals, PVR > 100 ml), b) the records of women with LUTD due to LS (cauda equina syndrome and spinal canal narrowing by MRI), and c) uro–neurological features of women who belonged to both a) and b). a) One–hundred women with a mean age of 58 years had urinary retention. The most common underlying disease was multiple system atrophy , followed by multiple sclerosis  and cervical/thoracic tumours . LS was the fourth most common , with the highest age (71 years) of all diseases. b) Nineteen women with LUTD had LS (12, canal narrowing of 50–70%; 7 > 70 %), with a mean PVR volume of 60 ml. A fourth  of them had urinary retention, with severe spinal canal narrowing (all 5 > 70%). c) Thus, 5 women belonged to both a) and b). In 4 of these women, LUTD followed or occurred together with typical cauda equina syndrome symptoms such as sciatica and saddle anesthesia. However, one elderly woman presented with painless urinary retention, and absent ankle reflexes were the sole neurological abnormality. 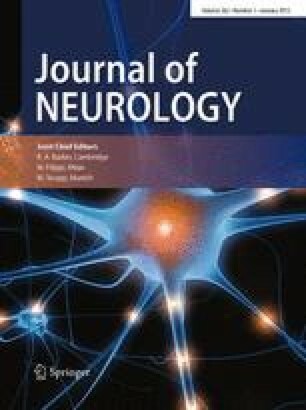 The urodynamic abnormalities underlying urinary retention included an underactive detrusor in all 5, bladder sensory impairment in 3, an unrelaxing sphincter in 2, a low compliance detrusor in one, neurogenic sphincter motor unit potentials in 2 of 4 studied, and cholinergic supersensitivity of the detrusor in one of 3 studied. Surgical decompression ameliorated urinary retention in 1 of 2 women who had surgery. In our series, only 5 percent of the women with urinary retention had LS, but LS poses a potential risk for retention, particularly in elderly women with severe spinal canal narrowing. Preganglionic somato–autonomic dysfunctions underlie this condition. It may appear as the sole initial complaint in cases in which no other obvious neurological abnormalities are found.